After removing the typical paper wrapping, we are presented with two sandwiches that seem a bit smaller than usual. 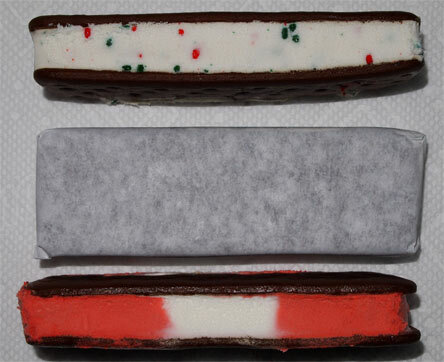 So the festive vanilla is pretty much a standard flavor ice cream sandwich since the sprinkles are basically decorative only. 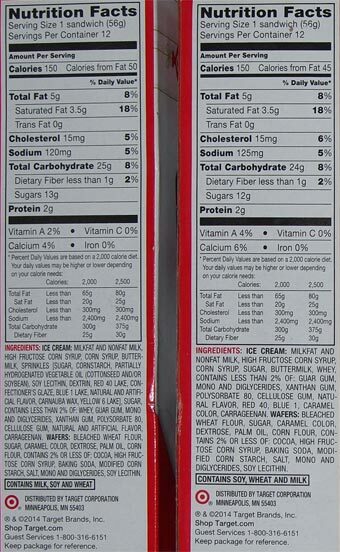 There's a little bit of crunch resistance from them but you can overlook it if you eat them quick enough. This isn't necessarily a bad thing since I like plain ice cream sandwiches. 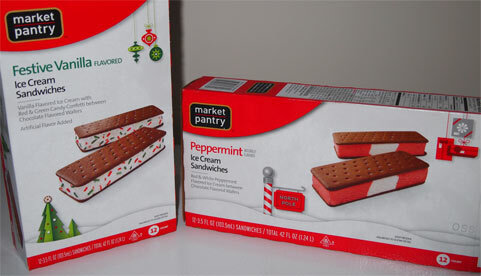 The peppermint one is well, peppermint through and through. It's fine, nothing shocking. There's not like some huge mint effervescence or anything. It's a budget ice cream sandwich like the vanilla and it's on par with any other budget ice cream sandwich. Sorry I don't have more to say, but they are as expected, unless you were expecting crunchy candies. They're cheap and effective and we'll leave it at that.